When it comes to confronting hate speech in public spaces, Americans often discount productive conversation, according to U.S. Poet Laureate Tracy K. Smith. Since the Library of Congress appointed Smith as poet laureate in June 2017, Smith has journeyed to rural areas and small towns in the United States, starting with New Mexico, to engage in conversations that literary scholars often overlook. In the first stop on her tour, Smith met with Native American students and learned more about their culture, according to U.S. News and World Report. Smith, who grew up in Fairfield, Calif., said she hopes poetry will venture into the collective consciousness of the nation. The 45-year-old poet argued that poetry is not an antidote in the face of tragedy, like the aftermath of the Marjory Stoneman Douglas High School shooting in Parkland, Fla., but that it can help people cope. 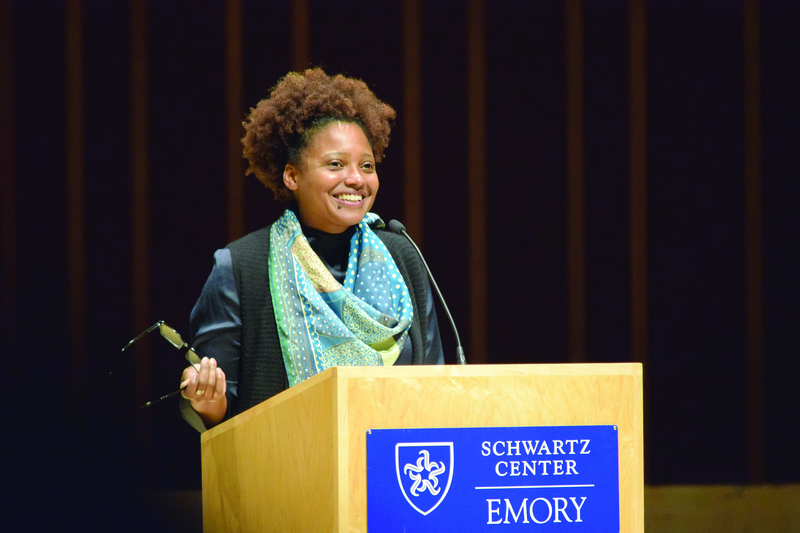 Smith recognizes the value of community as a former member of the Dark Room Collective, a group of African-American writers that has witnessed rise to acclaimed poets such as Charles Howard Candler Professor of English and Creative Writing Kevin Young, and former U.S. Poet Laureate and former Director of Emory’s Creative Writing Program Natasha Trethewey. Director of Princeton University’s (N.J.) Creative Writing Program, Smith has published four books and in 2012 won the Pulitzer Prize for Poetry for “Life on Mars,” a collection that elegizes her father, a scientist who worked on the Hubble Space Telescope. Her fifth book, “Wade in the Water,” is set to be released in April. Smith’s poetry has been lauded for its metaphysical characteristics and emotional resonance. She said she believes poetry is “more aligned with the energy of the unconscious minds” and create a sense of order.